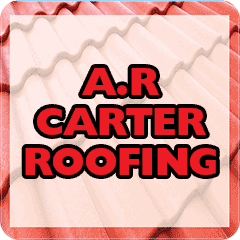 At A R Carter Roofing, we understand how much disruption can take place when your roof fails. We aim to provide a service that makes your requirements an absolute priority, allowing your home to return to normal as quickly and as hassle-free as possible. Our 31 Years’ experience makes us ideally placed to provide a professional and efficient service that is designed to exceed your expectations. Over 80% of our work comes from word-of-mouth referrals and recommendations, proving that the quality of our work leads to happy customers! Whether you’re looking for urgent roof repairs, tiling & slating, leadwork & flashing, chimney repairs, brickwork repointing, UPVC gutters, fascias & soffits or a new flat roof with a life span of up to 50 years, A R Carter roofing is the answer! Call us now for a free, no-obligation quotation and advice borne from a wealth of experience.